Admissions into the B.Tech/B.E. courses offered by the participating colleges of Gujarat will be done through GUJCET 2019. 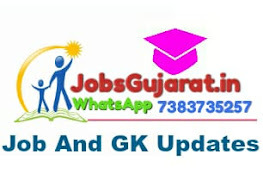 There will be two conducting authorities for GUJCET 2019 – all of the examination related events will be conducted by Gujarat Secondary and Higher Secondary Education Board (GSEB) whereas the counselling and admission process will be checked by Admission Committee for Professional Courses (ACPC). Registrations for GUJCET 2019 will be open tentatively in the third week of March till the first week of April. Before registrations, the candidates will have to obtain the user ID after paying the fee. Those candidates who complete their GUJCET registration process will be able to download their admit card tentatively from the third week of April 2019. GUJCET 2019 will be conducted tentatively in the fourth week of April.